I promised to address that question in a separate post because it revealed some interesting issues that deserve star billing. What I found might surprise you: apparently, virtually all of the data supporting a decline in the western Hudson Bay polar bear population since 1985 has been collected but has not been published. This revelation came from none other than the 2012 summary by Ian Stirling and Andrew Derocher that I’ve mentioned before here. This means that compared to all of the 19 subpopulations of polar bears (see fig. 1), the very best information we have is for Western Hudson Bay (WHB) bears (fig. 2). But are western Hudson Bay polar bears biologically typical of all polar bears? In this post, I’ll begin to examine that question. Chock this post up as another example of mind-blowing information you sometimes find while looking for something else. 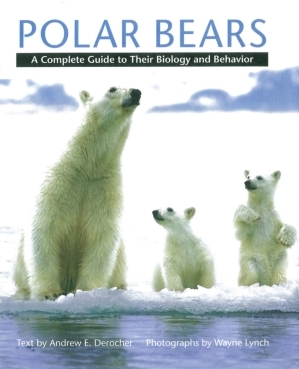 This statement suggested to me that I would find Andrew Derocher’s new book upbeat and primarily concerned with explaining the biology, behavior and life history of polar bears, as the title suggests. I’d buy a book like that, I thought. I was also eager to see how Derocher’s effort compared with Ian Stirling’s book that came out last year (2011), which I reviewed in July. The title of Stirling’s book – Polar Bears: The Natural History of a Threatened Species – did at least hint at the advocacy found within.